One could argue that Chavis Park is basically downtown Raleigh’s main park. 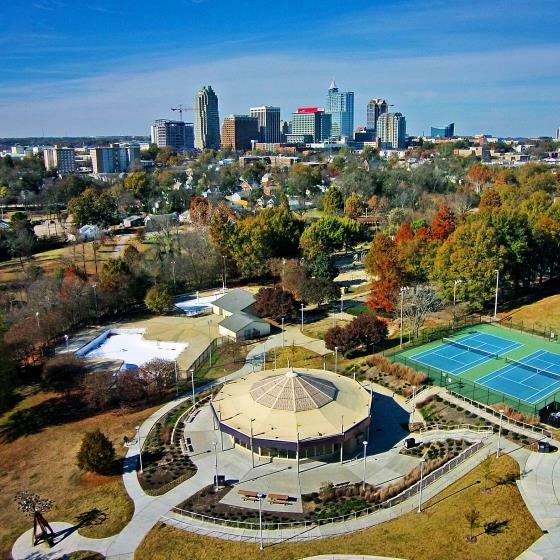 A new master plan for the historic park that sits to the southeast of the city’s center has been in the works for most of last year and the final meeting on the phase 1 improvements is next week. Park development steps, beginning with Phase 1 design plans, will be underway in the summer of 2016 when there will be a follow-up public review session. Construction documentation, engineering, and permitting, will then follow, preparing for Phase 1 construction in late 2017. We’ll take a look at John Chavis Memorial Park and how it currently ties into the fabric of downtown later but to dive into it now, take a look at these links and get over to the meeting. Date/Time: Tuesday, February 16 from 3:30 p.m. to 6:30 p.m.
*The presentations at 3:30 and 6:30 will be the same, so you can choose which works best for your schedule.